If you’re a business executive or entrepreneur looking for what it’s going to take to accelerate your career or business – and feel good about owning your own power and brilliance in all areas of life – I invite you to consider working with me one-on-one. • and be held accountable for having the conversations and taking the actions that produce the results you want and deserve. Yes, let’s talk about me being my most brilliant self! 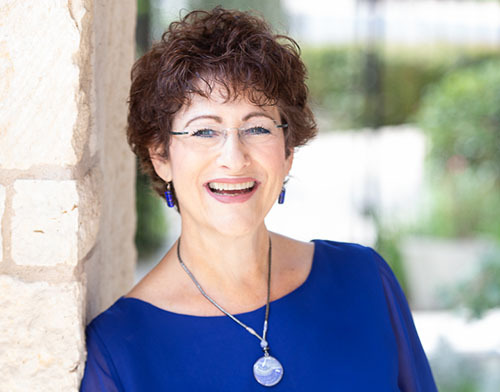 With Janet Zaretsky’s expert coaching, you will have greater productivity and efficiency, faster promotions and make more money. You will gain the confidence to lean in and make bold moves. You will discover and break down your own barriers to the success you want and deserve. Executive coaching supports you in developing skills in being a leader in the areas of communication, influencing, emotional intelligence and interpersonal relationships. Like performance athletes coaching, executive coaching helps you refine and enhance your current skills. Janet is a trained sounding board, allowing you to work through your challenges. Part ‘kick in the pants’ and part cheerleader, Janet is committed to your success and satisfaction in work and in life. Janet’s ability to sniff out the BS that is holding you back, allows for a transformation. You will experience unprecedented confidence in who you are for yourself. Janet is a ‘think outside the box’ strategist who partners with you to expand and scale your business to the level you desire or get the next promotion. She will give you access to her curated network of professionals to support you. As everyone has different needs, different desired outcomes and different challenges, all executive coaching programs are customized and tailored to you and what you need and desire. “The coaching I have gotten from Janet truly shifted the way I approach running a business from one of being driven to make things happen and being exhausted all the time…to loving what I am doing and having my focus on the most important part of the business: my clients and employees. “Through my work with Janet, I have been able to remove many of the internal roadblocks I have created for myself over the years. I have always been in sales, but have never successfully addressed the common denominator in my professional struggles – me! Now we are getting somewhere! I hired Janet 8 months ago, and the proof is in the pudding. My sales are up 163% year to date from 2015 to 2016. “Before Janet coached me I was a wimp. A big wimp. 🙂 I allowed people to walk all over me and I stepped over things that really matter to me in all areas of my life. After coaching with Janet, I am now a leader in my life. I am leader who holds people accountable, stands for what matters to people and to me, and I step over nothing. I am fully self-expressed, authentic and connected to who I really am in the world. I know that difference I make. I am the real deal. “I saw barriers I’d put in my own way and new pathways for handling obstacles. Even in the areas of my life where I was already satisfied, Janet had me see new opportunities for expanding on my achievements. My thoughts and actions have become aligned with my intentions and I feel like my life is becoming a more perfect expression of myself. “I’ve had the opportunity to work with Janet for almost two years. As an entrepreneur, navigating the world of business can be daunting and feel overwhelming but Janet has consistently and patiently walked me through each minute or epic moment I have experienced. Janet is not only a coach but she has the ability to wear many hats such as cheerleader, advocate and friend, guiding me towards achieving my lofty goals.